History: Old City Soda is one of the new kids on the block in craft soda. 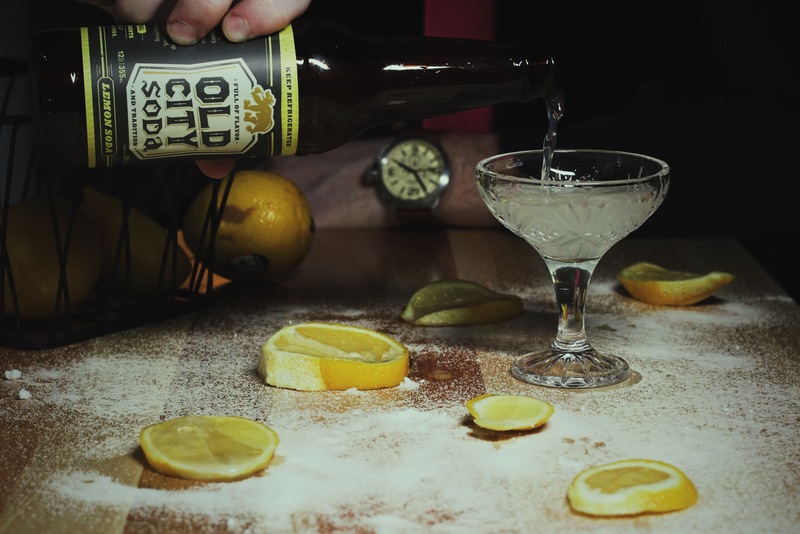 Hailing from Cleveland, Ohio, Old City Soda’s owner, Mike Gulley, sought to harken back to the way soda used to be made in the old days with craft and care. He wanted to blend the old methods with new ideas, flavors and fresh ingredients. Gulley started making ginger beer back in 2011 at a Cleveland restaurant called Paragon. That led to a soda-making series at The Cleveland Flea. If that site doesn’t tickle your inner-hipster, then you aren’t drinking enough green smoothies or wearing enough accessories. In 2013, he launched his own soda line. Like several newer faces in the craft soda industry, Gulley targeted his beverages to pair with alcohol. What really stands out are the flavors. Lemon soda? Cinnamon soda? Hibiscus? Who does that? And most Old City Sodas clock in at under 100 calories. The company name even has a cool little backstory. “Altstadt” was a common name in Gulley’s family ancestry. It stands for “the old city.” In fact, his grandparents still maintain a newsletter called the “Old City Beacon.” The bear you see on the company’s soda bottles even comes from the family crest. It’s all cyclical… revolutions, my friend. Here’s a note for all you health-conscious folk; to ensure freshness, the company does not pasteurize or use preservatives in its products. You actually have to keep the bottles refrigerated or the ingredients go bad much faster. The time from bottling to your mouth is only a matter of days. Flavor potency and authenticity are what this new kid on the block prides itself upon. Where to get: Gulley and his business partners are still a small operation. They’re working on distribution at the moment. Until then, they’re open to larger orders directly through their website. You can also subscribe there to get the latest updates. Nose: Lemon meringue pie; lemon juice; light key lime. Taste: Lemon juice, light sugar. This is lemon soda, not lemon-lime soda. It’s simple and light. That said, the lemon flavor is strong on the first couple sips. Could overwhelm some people. The flavor is very natural. This tastes like someone squeezed a bunch of real lemons in here, which is nice and refreshing. (The soda does contain 20% juice. You’d swear it was more). The more you drink this, the more the sugar comes through. 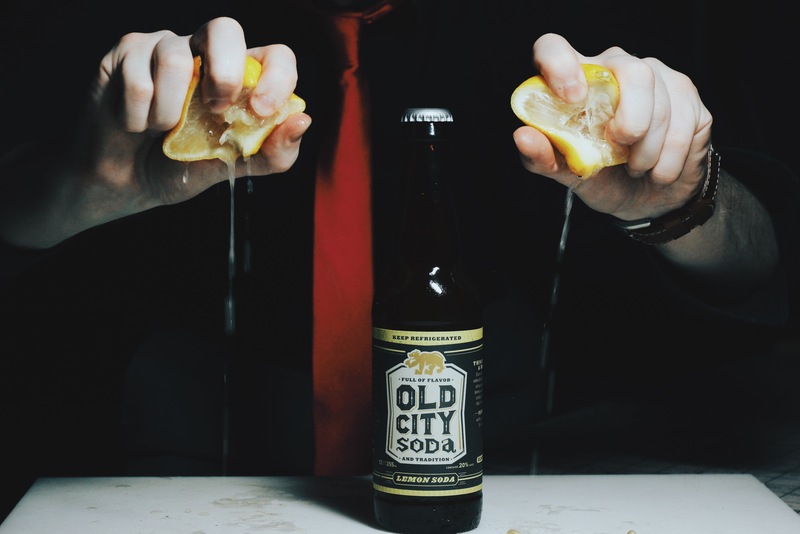 A majority of Old City Sodas contain under 100 calories, so the sugar is never going to be a critical part of the flavor, but it does a nice job mellowing out the strong lemon you get in the beginning. This soda was geared toward being a mixer and when mixed with alcohol, the lemon is nearly perfect, light and full of citrus-infused flavor. Finish: Pure lemon juice that tails off into a faint key lime flavor. If you drink this quickly, the carbonation brings out more of a bold sugar flavor in the finish. Rating: This is a soda that lives two lives. On its own, it’s the ultimate sipping soda. A beverage that amplifies in flavor and drinkability on every sip. However, this is also its potential downfall with consumers. The lemon zip is abrupt and up front on the first couple drinks. It’s a little, “Hey, I just met you and you can’t put your hands there yet.” But give it time, baby. It’ll woo you as you get to know it better. The lemon really mellows over time. It’s highly suggested you take your time with this beverage as opposed to downing it in 10 minutes. The lemon has a nice, natural flavor and a palatable amount of zing. It probably isn’t something you’d consistently drink on its own unless you’re a citrus buff, but it’s nice for a hot summer day. This soda has another side though, the one for which it was intended. On its own, its a summertime sipper, but pair it with vodka or gin and this becomes a liquid party. In fact, Gulley noted this is basically an instant Tom Collins in a bottle, minus alcohol. He was right. For those who think the natural lemon flavor might be too strong to drink as a soda, it really lightens out in a cocktail. Its lemon punch cuts the alcohol, yet provides considerable refreshing citrus flavor. Careful, drinking too many happened to us happens. For those who enjoy citrus or those who enjoy sipping beverages, give this a try on its own. For those who’re looking to have a good time and like their nights in a highball glass, try this with booze. And if you don’t like either of those, then we probably shouldn’t hang out.